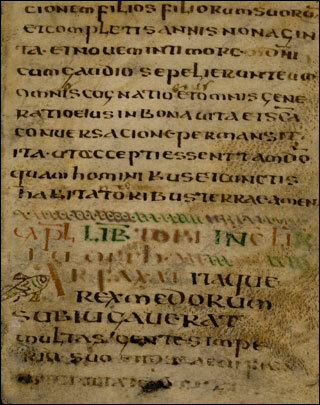 The manuscript written in uncial script was originally compiled in the 7th century in Italy. In the 8th century the leaves 1-8, 17-37, 54-71 were renewed, presumably in Lorsch. The leaves 9, 16 are written in the younger Lorsch style of the Carolingian minuscule and were included into the manuscript in the 9th century.